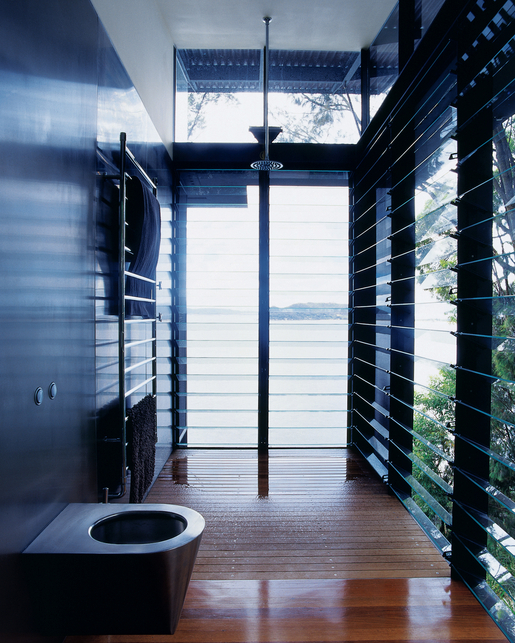 Robertson House in Pittwater Bay, Australia | Shelby White - The blog of artist, visual designer and entrepreneur Shelby White. 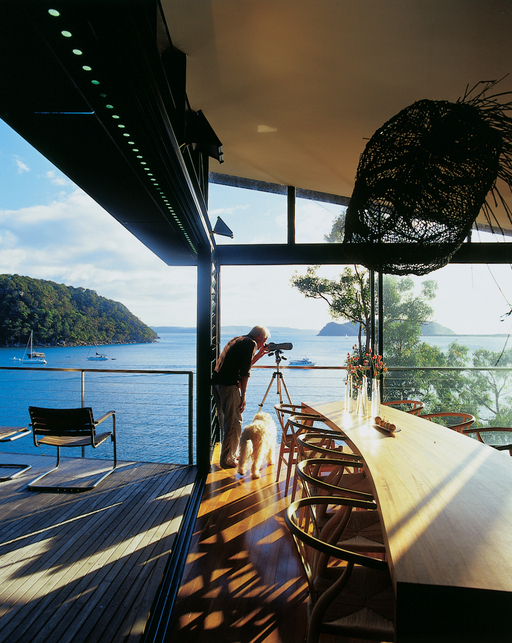 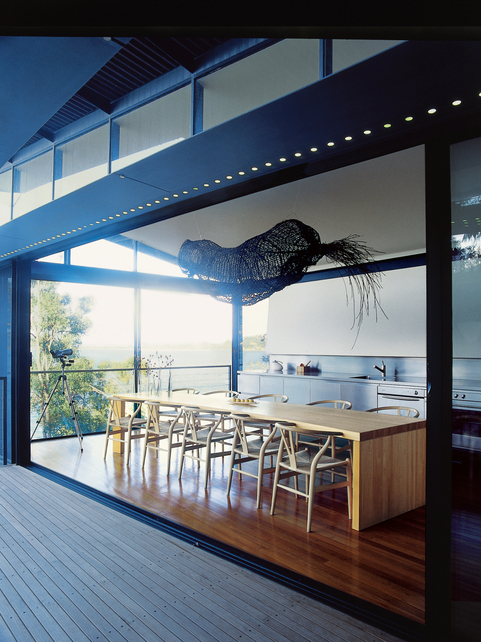 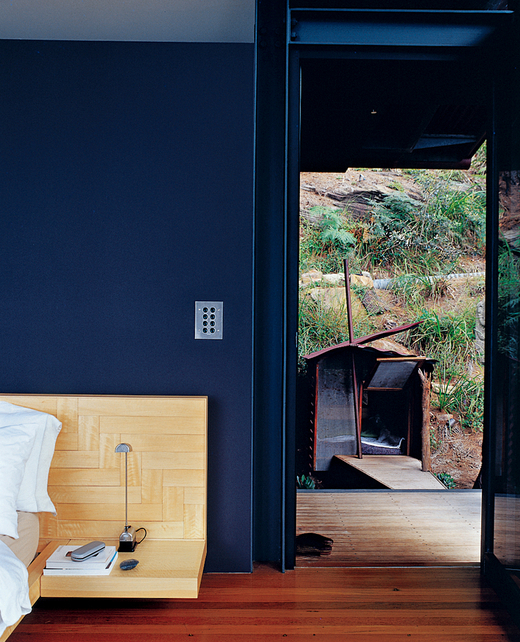 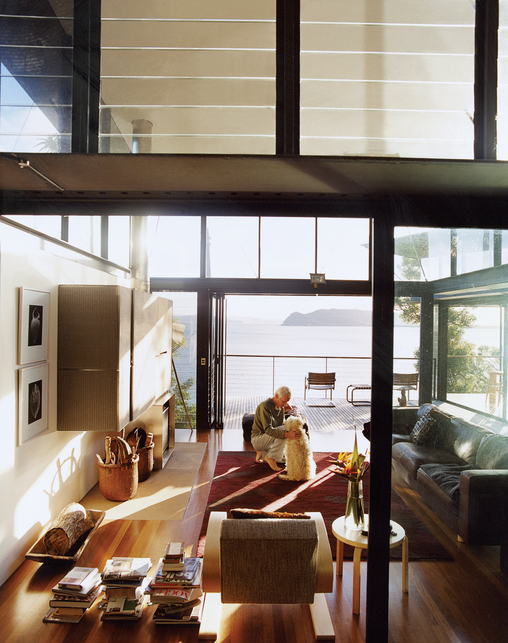 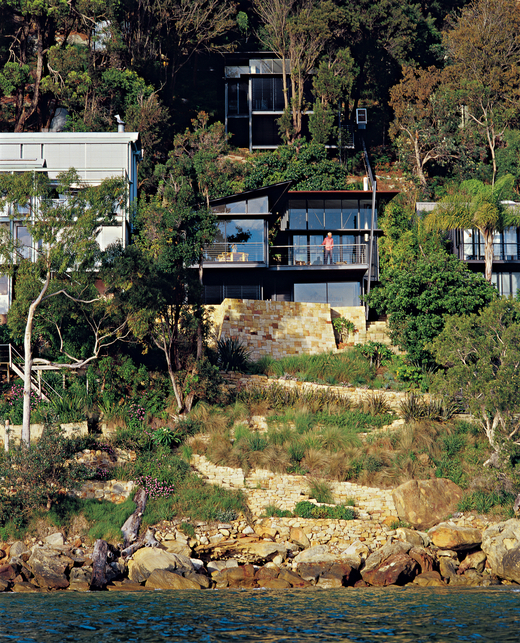 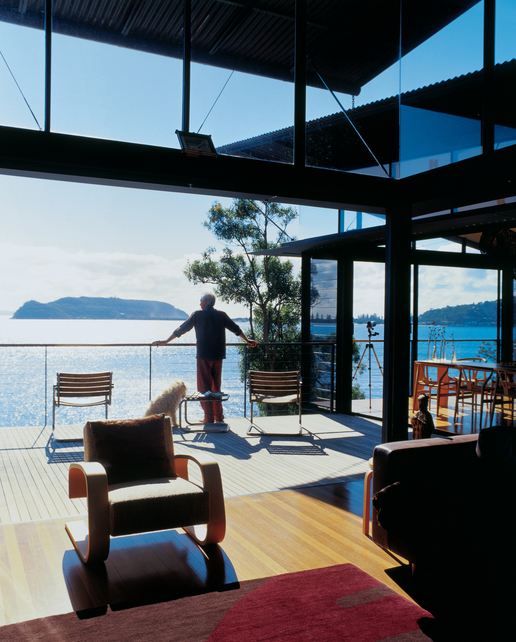 The James-Robertson house is located on a hill overlooking Pittwater Bay in Australia. 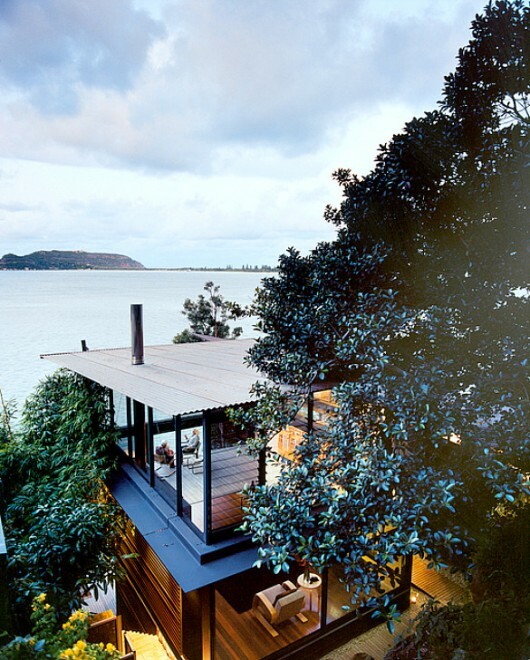 The house is made up of three black coated aluminum and steel structures combined with timber decking. 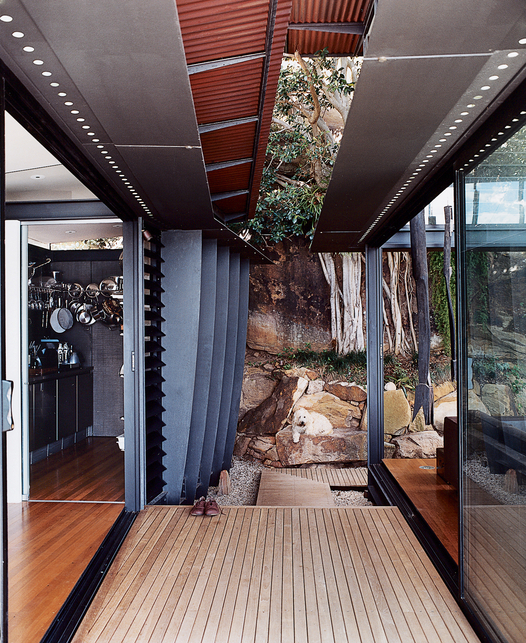 All of the house’s sides are opened up to the outside by large glass windows, creating a sense of naturality.